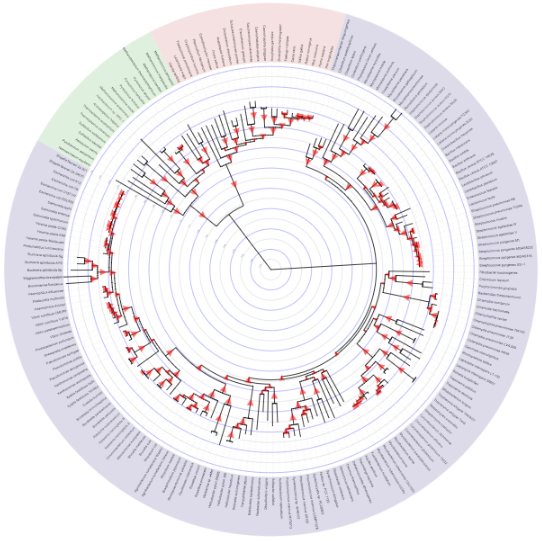 Interactive Tree Of Life is an online tool for the display, annotation and management of phylogenetic trees. 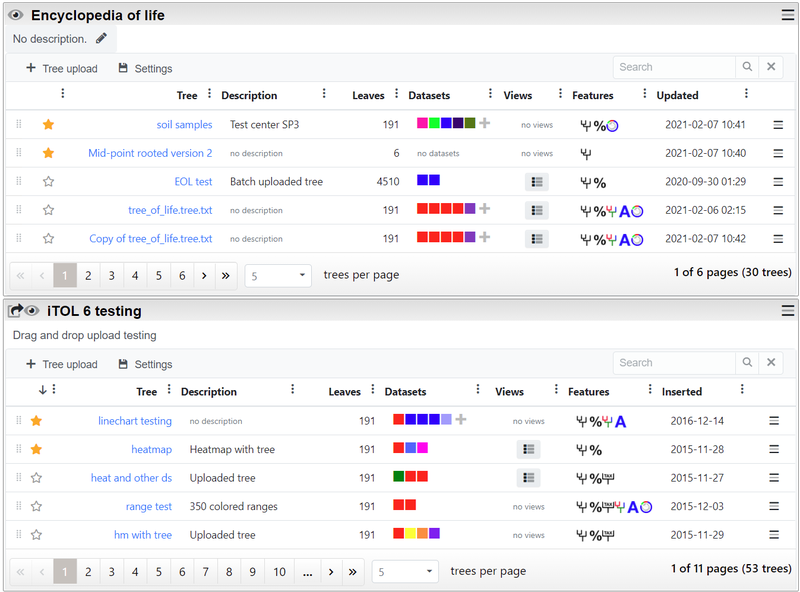 Explore your trees directly in the browser, and annotate them with various types of data. Simple drag and drop annotation. 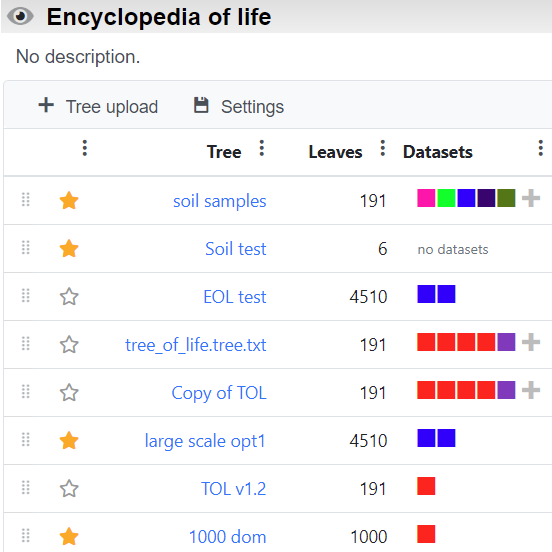 You can drag and drop the datasets directly onto the tree, with complete control of each visualization option. Adjust branch and label colors, styles and fonts interactively or by using prepared data files. All datasets can be be displayed simultaneously, with fine-grained interactive control of their position, size and other parameters. iTOL provides WYSIWYG high quality export into vector and bitmap graphics formats. Interactively adjust the tree as you like, and the exported figure will mirror what is shown on your screen. Organize your trees into workspaces and projects, and access them from any browser. 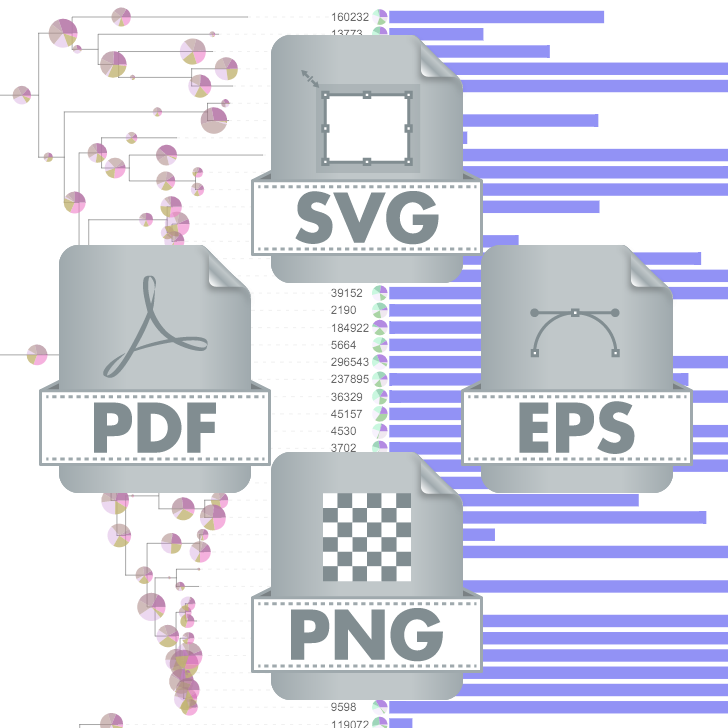 Simply drag and drop multiple tree files onto a project to upload them all at once. 18 dataset types. Full control over branch colors, widths and styles. Individually adjustable label fonts, sizes and styles. Create high quality vector or bitmap figures for your publications. Direct WYSIWYG export of what is displayed on the screen. Various display modes. Support for large trees. iTOL can easily visualize trees with 50'000 or more leaves. 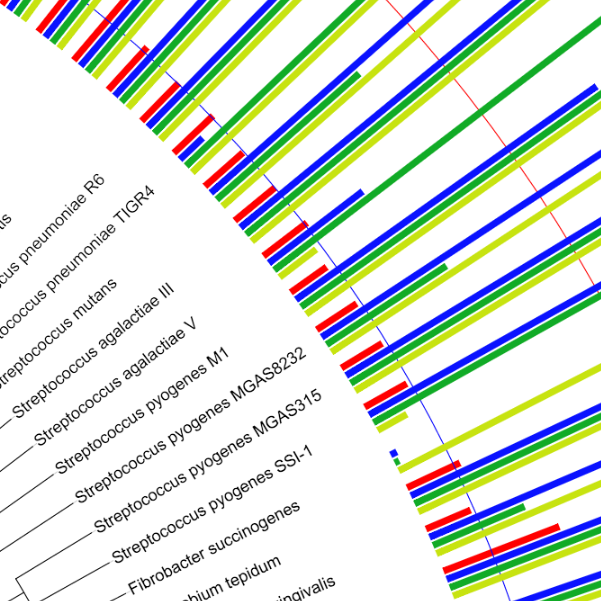 With advanced search capabilities and display of unrooted, circular and regular cladograms or phylograms, exploring and navigating trees of any size is simple. Visualize support values. Explore clade distances. Branch support values can be visualized as various shapes with adjustable colors and sizes or as text labels. Alternatively, branch colors or widths can be linked to the underlying support values. 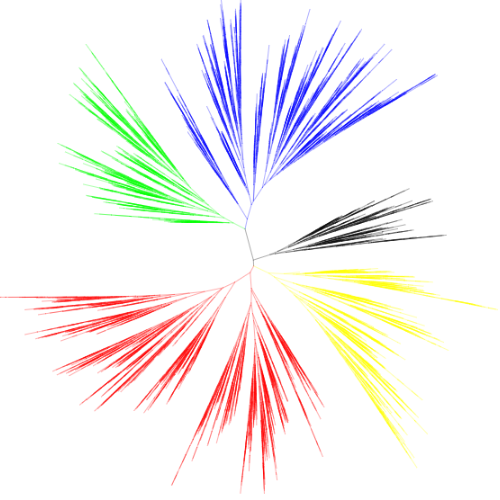 Trees with branch length information can have an internal scale with adjustable levels and colors, allowing easy estimation of distances between various clades. Simple management of all your trees.Share your work. Create unlimited workspaces and projects, and organize your trees using simple drag and drop. Mark projects as 'shared' to give other users access to your trees.